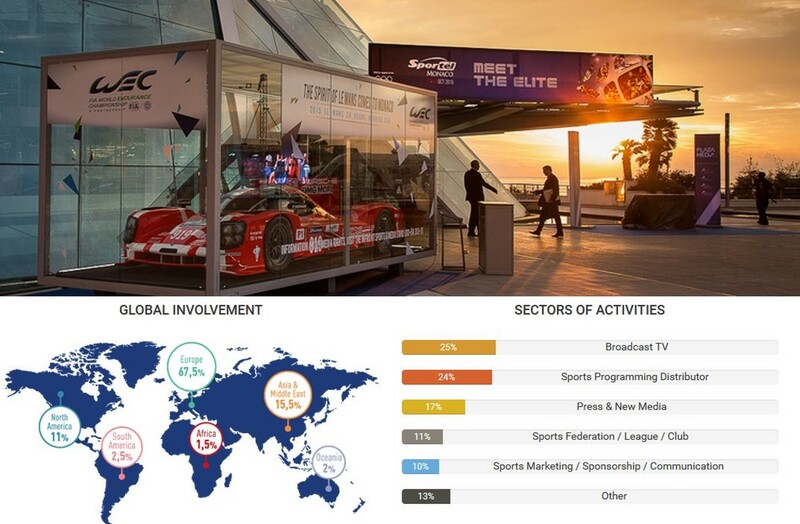 Direct access to industry elite - Face 2 Face meetings withthe decision makers of the industry - Clear identification as an international industry player - Access to a wide variety of business sectors from the sports marketing & media industry - Best platform to promote your business and communicate your brand. Shanghai Media Tech or SMT is one of China’s largest media and cultural conglomerates, with the most complete portfolio of media and related businesses. SMT evolved from the former Technical Center of Shanghai Radio and Television Bureau which was established in May 1987. SMT has the main business in the following seven fields: the broadcast, pre-production, post-production and transmitting broadcast of the radio and television programs, the operation and maintenance of the network, system integration and the application development of new media. Besides, SMT has also expanded to embrace some new business such as special effect cinematography, 3D/4K production, visual creation and New-Media product. In addition, SMT has established great partnership with global media giants such as BBC, NHK, ABC, KBS and Star TV in Hong Kong, meanwhile maintaining good cooperative relations with top institutions worldwide. The Taizhou TV HD2 is an eight meter long van equipped with six Sony cameras and a MVS-3000 vision mixer The monitors are from Panasonic while multivievers and the digital glue are delivered by Axon. The audio mixer comes from Yamaha and the intercome is an Eclipse by Clear-Com. “We recognised that running diesel-powered broadcast trucks into city centres was becoming increasingly untenable,” said Steve Burgess, CTO of Megahertz. “Broadcasters have their own environmental responsibilities, and cities are increasingly imposing heavy penalties on particulate-emitting diesel vehicles. We wanted to demonstrate that we could provide the right functionality in an all-electric vehicle for newsgathering in the urban environment.” The new vehicle draws on the large number of rapid response newsgathering vehicles Megahertz has built for broadcasters. Part of the MEDIAPRO Group, VPK PRO is Slovenia’s largest independent television producer and is providing playout services in HD and UHD-4K, when needed for the new channels. The first deployment of the switcher in the Balkan region, DYVI is being used to output programming from the virtual PlanetSport studio. The television producer needed a live switcher to complement what is one of the region’s most advanced virtual studios, which features three parallel Vizrt graphics engines for real-time 3D virtual and augmented graphics processing. With this graphics implementation, PlanetSport’s studio operations are complex and required DYVI’s software foundation to more easily manage all the graphics layering needed in each studio production. On September 15, French channel RMC Sport inaugurated its new premises at Quadrans (Paris) with the return of the Premier League to its portfolio. Equipped with 7 HD Studios, including one with more than 200 m2 with an audience, the new media headquarters in the heart of the Altice Campus is a unique site with state-of-the-art equipment and with unpublished sets especially in the realm of 3D virtual reality and augmented reality. As part of this massive relocation process French company Altice and in particular channel RMC Sports invested heavily in new ViBox systems from Simplylive. The auto racing series covers a significant part of the calendar year and moves back and forth across the globe between the series start in Australia and its finish in Abu Dhabi. USP Content, a multiplatform production company based in London, latched onto the use of Bolero as a cost-effective means of delivering each race to BBC Radio listeners without having to deploy extensive technical and production staff at each location and without having to sacrifice audio quality. For races in Europe, USP Content sends its presenters for BBC Radio to the track, where a Riedel Artist 64 digital matrix intercom frame connects via managed Multiprotocol Label Switching (MPLS) circuits to Frankfurt and then via VPN on to another Artist frame in London. The Shanghai Media Tech (SMT) team undertook the technical work of the six e-sports projects of the Asian Games in Jakarta. The e-sports can be described as a project with extremely high technical requirements in the broadcast field. In particular, it tests the complex production technology functions such as multi-format fusion, system expandability, and special effects production. Completion of six e-sports projects in just one week... The difficulty and workload have increased exponentially. To this end, SMT provided the newly introduced 4K HDR EFP broadcast system with the world's most advanced GV all-IP architecture, and airlifted to Jakarta. Building on the success of the 2017-18 season and the significant and growing global interest in competitive FIFA gaming, this season’s tournament ecosystem expands as the number of Majors increases from two to six, an all-new Licensed Qualifier System being added – which is led by leading brands PlayStation, Professional Gamers League (PGL) and Gfinity, and involving an anticipated 20 official football league partners such as Bundesliga, Eredivisie, La Liga, Ligue 1, MLS, and the Premier League. This season also includes the unique FIFA eClub World Cup and two EA Champions Cups featuring the best FIFA Online 4 players in the world, as well as a brand new competition: the FIFA eNations Cup. Further details about the format and qualification for the FIFA eNations Cup will be announced over the coming weeks. Dutch rockers Kensington brought their hugely successful double platinum ‘Control’ album cycle to a close with a show-stopping performance for around 50,000 fans at Amsterdam ArenA. Belgian based lighting designer Michiel Milbou of Never Fear Shadows was asked by technical and show production co-ordinators Bush Cherroud and Albert Deltour from Nexxt Technology to come on-board and create a light show fitting for the occasion … and he spec’d over 200 Robe Spiiders and BMFL Spot moving lights to be at the core of an epic visual extravaganza. Peruvian group Amén performed a spectacular homecoming gig at Lima's Gran Teatro Nacional in August to mark two decades of success. Lighting designer Gianfranco Di Vitto was armed with the versatile Claypaky Mythos2 and Claypaky Sharpy to create a range of emotive looks, inspired by the music that fitted both aspects of the acoustic and electric set. The lightweight Sharpy fixtures were rigged upstage on a custom-built circular truss, automated to move up and down as well as tilting 90˚ over its axis. Specified for their perfectly parallel beams with a zoom range of zero-3.8˚, Di Vitto comments, "they remain unmatched on the market, and are the most suitable beam fixture to compose shapes for the music. Video and AV lies in CPL’s DNA, and there has always been a commitment to ensuring that the company keeps ahead of this fast-paced and constantly changing world. This latest investment also points to CPL targeting larger and more ambitious events, and being competitive in more sectors, congruous with a general rise in music-based work. A selection of premium brand products comprises the bulk of the investment including ROE LED screens, Brompton processing, disguise media servers, Riedel comms, Barco 4K laser projectors and Agile remote camera systems. Set to be integrated into a new studio and production facility, Switzerland’s Technology and Production Center (tpc), has purchased a DYVI switcher from EVS, the leading provider of live production solutions. Entirely IP-based using the SMPTE 2110 standard, this Zurich-based facility will be used by tpc to provide production services to Swiss broadcaster Schweizer Radio und Fernsehen (SRF). The production team will also put in place a new XT-VIA live production server and IPDirector content management suite. “The production of SRF’s high-quality programing needs to be done with technology that can use IP-connectivity to operate quickly and reliably. Above all though, it must create the best live content possible,” said Andreas Lattmann, CTO at tpc. The result is a one-of-a-kind environment which allows the listener to experience the acoustic conditions specific to a particular concert hall, car interior, living room or other acoustic space. At the heart of the research project is the understanding and analysis of reverberation – what it is, how sound reacts with reflective surfaces, and how it can benefit - or detract from - the listener’s experience. “We wanted to bring real life into the lab,” says Dr. Neo Kaplanis, a Tonmeister and lead scientist at B&O. Along with an EU-FP7 consortium, Kaplanis examined whether it is possible to compensate for reverberation effects with the goal of aiding B&O’s R&D department. An initial order of 18 XT-VIA and four XS-VIA servers will be delivered to power live production of the premium UHD-4K matches. They will be deployed in four of NEP Australia’s mobile production trucks as part of a major upgrade to make them fully UHD capable. Foxtel’s dedicated 4K channel will see FOX SPORTS deliver cricket matches broadcast in ultra-high definition for the first time. The channel will feature every men’s Test match in Australia as well as One Day Internationals, T20 matches and selected Big Bash League games. NEP Australia’s new servers add to the 27 XT-VIAs already deployed inside the company’s Andrews Hubs production centres in Sydney and Melbourne. Founded in 1982 and headquartered just south of Kansas City, Missouri, Vista Productions provides live event and video production services nationwide for clients including Fortune 500 companies, private firms, non-proﬁt institutions and entertainment venues. Now in their fifth year of providing image magnification (IMAG) for the AMP in Rogers, Arkansas, Vista found themselves outgrowing their allocated production space within the 9000-seat outdoor theater. The company purchased and began outfitting a 53-foot production truck – ARIA – that would operate from the back lot of the venue for concerts and travel to corporate events between concert series.